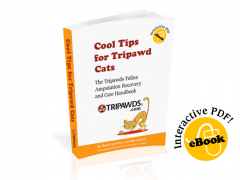 In this last of our four part series about Tripawd rehabilitation, fitness and conditioning tips, you’ll see how Dr.Kennedy works with Tripawd Domino to keep him strong, lean and fit. How to Use a FitPAWS Balance Pad and Balance Disc for beginner-level weight-bearing exercises that strengthen a dog’s core muscles, shoulders, back and hips. 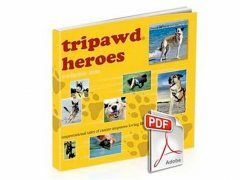 How to Use a FitPAWS Wobble/Rocker Board as a fun way to help tripawds develop core strength, balance and proprioception (body/space awareness). 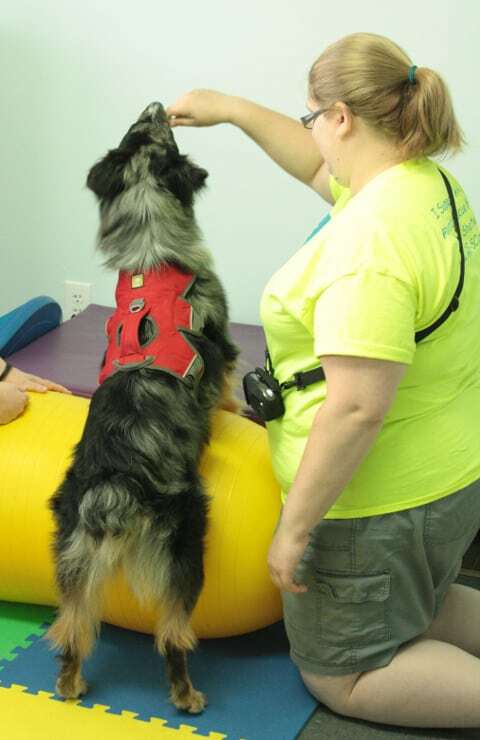 Dr. Kennedy, DVM, CCRP explains the benefits and how it is best to make a board that fits your dog’s body. 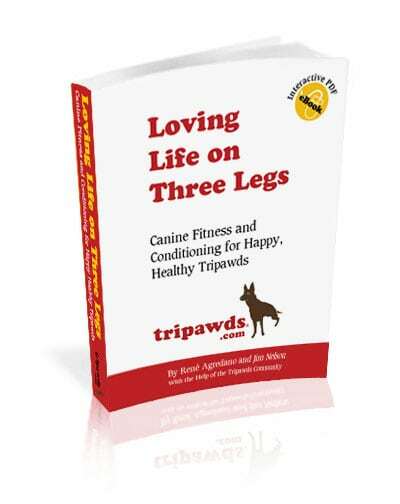 Be sure to reserve your seat in the first ever Tripawds Conditioning Course, an all-0nline course brought to you by the Fenzi Online Dog Sports Academy and world-renowned canine fitness expert, Dr. Debbie Gross, DPT, MSPT, Diplomat ABPTS, CCRP, beginning in February 2015.